Chinese New Year is returning to Liverpool with a three-day celebration in and around Chinatown. On Friday and Saturday, the focal point will be the Nelson Street arch and the surrounding areas of Great George Square, Seel Street and Bold Street. A unique projection and pyrotechnic show will go on for around 15 minutes from 7pm each evening, alongside other family events to mark the Year of the Pig. The story will follow the journey of a little girl and a pig from Shanghai to Liverpool, which boasts the first Chinatown to be established in Europe. Huge crowds will gather on Sunday February 10th for the main annual parade, with street performances, stalls, family workshops, and a firecracker display to ring in the Chinese New Year, with proceedings lasting from 11:30am to 6:45pm. A spokesman for the Liverpool Business Chinese Association told JMU Journalism: “Liverpool is home to the earliest Chinese settlers. As the home of Europe’s oldest Chinese Community, Liverpool always goes all-out to celebrate Chinese New Year. “This is the 22nd consecutive year that the Liverpool Chinese Business Association UK has been appointed by the committee as the organisation to lead the overall co-ordinating of the event. 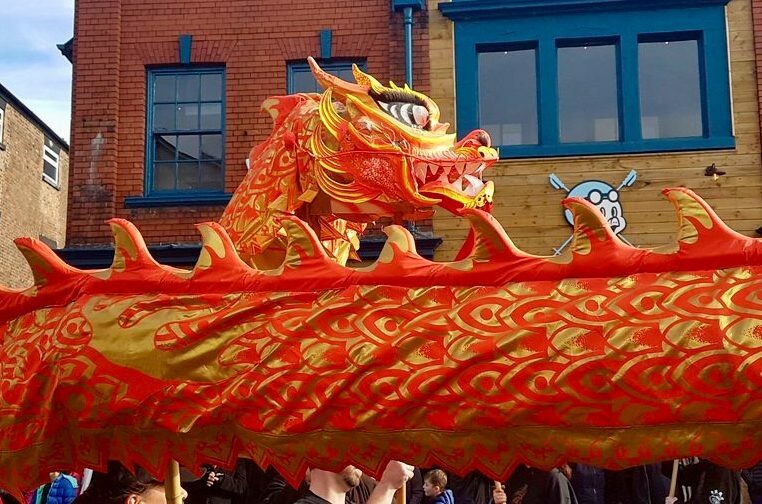 To celebrate the Year of the Pig, Culture Liverpool, Liverpool Chinese community groups and other organisations have arranged a series of arts and cultural events. Along with the spectators comes restricted access to the area and ahead of the event there will be road closures. 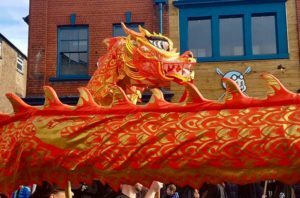 Culture Liverpool’s Events Manager, Keith Rice, told JMU Journalism: “The Liverpool Chinese New Year Celebrations are an extremely popular event in our calendar. As car parking is very limited within the event footprint, we would encourage all people who intend coming to the event to use public transport where possible and to plan their journey well in advance.